OTBA material for 2017 class 9 summative assessment - 2 is released by CBSE. 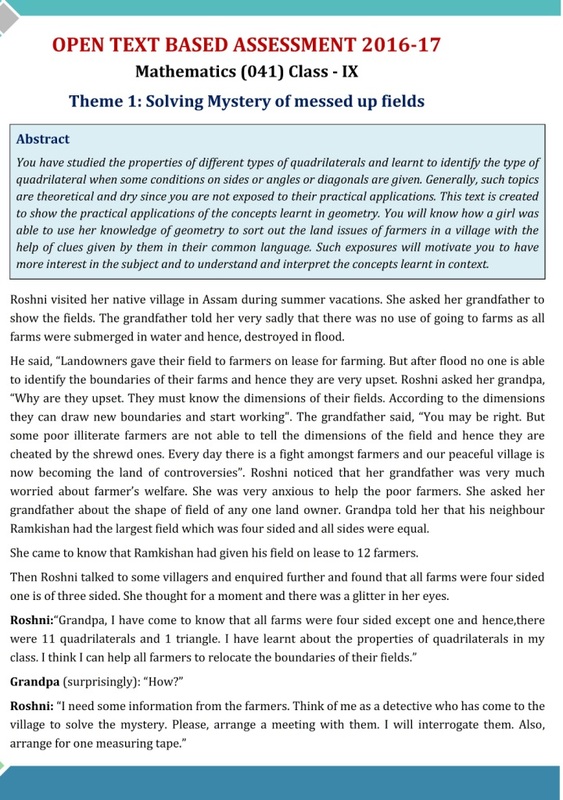 With this article students can download OTBA material for Class 9 Mathematics in PDF format. Text material for OTBA 2017 is released by CBSE. OTBA material is very important for Class 9 summative assessment – 2, 2017. With this article, students can download the text material for OTBA class 9 Maths in PDF format. The text of OTBA for SA 2 will be from Unit - 3, Geometry or more precisely Chapter 4: Quadrilaterals (as per CBSE Syllabus for Class 9 Maths 2017). In order to help teachers and students, CBSE has provided text material for (Open Text Based Assessment) OTBA class 9 maths. 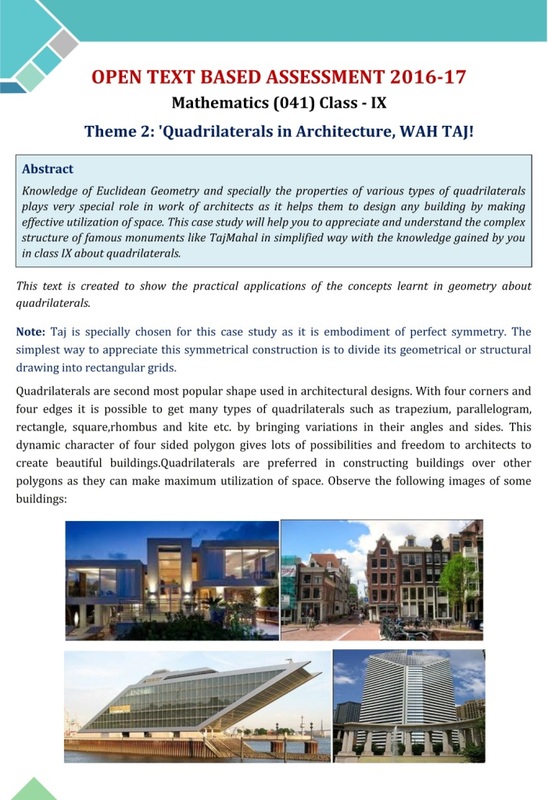 Inside text material for OTBA class 9 Maths 2017, there are two themes, theme – 1 is Solving Mystery of messed up fields & theme – 2 is 'Quadrilaterals in Architecture, WAH TAJ! Both themes have very interesting and amazing questions. The content and questions of both theme of OTBA class 9 maths 2017 are important for CBSE class 9 Maths SA 2 exams.